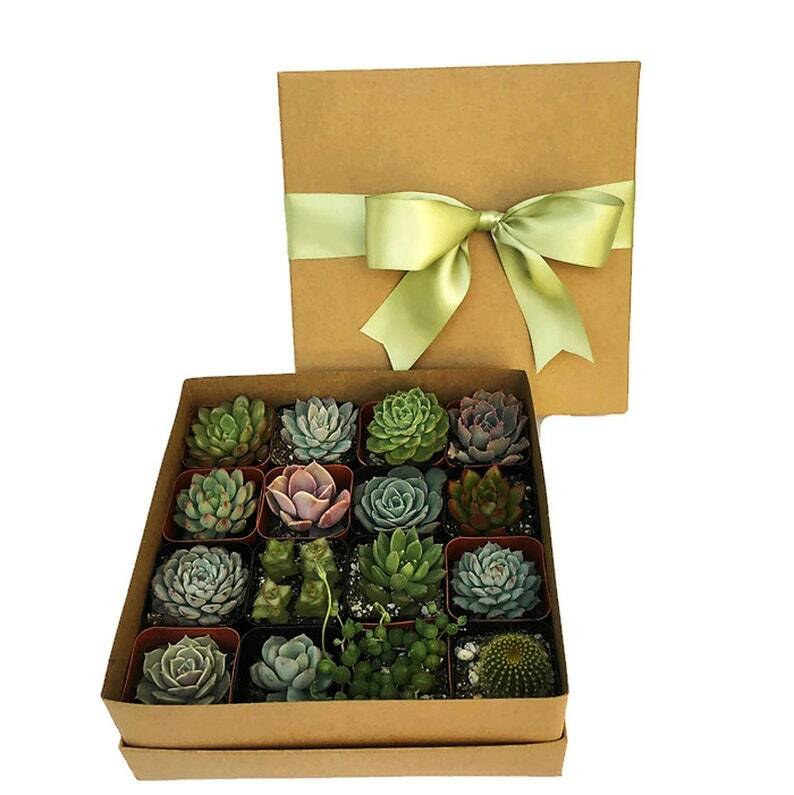 This succulent collection is perfect for any container that you have and includes a variety of 16 beautiful succulents (grower's choice) in their 2 inch containers, beautifully wrapped up in Kraft gift box, tied with your choice of ribbon. Great birthday, housewarming or thank you gift idea! ♥ 16 well established, rooted succulents in 2" nursery pots. Each box is unique and contains a total of 16 succulents - we make sure to include as much variety as possible - will vary from pictures based on availability but always beautiful. 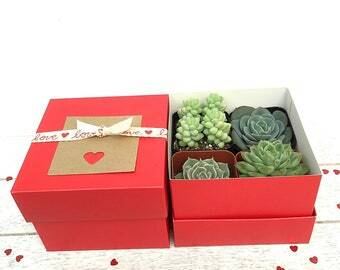 The succulents are placed in a Kraft gift box (box size is approx 8"x8"x3"). Box is wrapped with 1.5" wide ribbon of your choice - see listing pictures for samples. ♥ We can include a small gift card - let us know what to write on the card for you! if no text is specified with your order, we will not include a gift card.